The Autumn rugby internationals are well underway. Rugby is a physical contact game and injuries play a part in the success or failure of a team. Team managers need their top players in peak condition and need to keep them on the field. Rugby by its very nature is a hard contact sport and rapid recovery plays an important part in team selection. That's where Pilates kicks in and why more teams and players are turning to Pilates to keep players on the field. The fitness and peak condition are essential in today's world of fast moving rugby international players. The image of rugby has changed forever. Players have to be in peak condition, forget junk food and downing pints of beer. More players players are turning to Pilates as an effective way of keeping peak condition, building core strength and importantly for ruby internationals maintaining spinal health and after match recovery. Pilates is increasingly adopted by professional rugby teams. There are a special workouts designed for the rugby players, exercises that bridge the gap between Pilates and other exercise such as circuit and weight training. Pilates is effective way promoting correct alignment of the spine and symmetry of the back this will also decreases the risk of general wear and tear on the spine and in particular on the intervertebral discs. Pilates increases upper body strength which is important for fending off opposition players. Pilates develops strength and flexibility in the shoulders and hips, developing improved support around the spinal area and reducing the the risk of injury. But the most important benefits of regularly taking part in Pilates is how it builds awareness of the bodies position and movement, therefore reducing unnecessary stress on the spine. A strong core allows all the force in your legs to be transmitted through into the shoulder and onto the opponent. This helps when tackling an opponent. It maintains a strong core position transmitting power into the tackle. Rugby player's alignment, flexibility and balance can be improved by Pilates. Practitioners offering sport specific Pilates run core stability programs designed to help improve flexibility and balance. Rugby involves a huge range of movements amongst them abrupt starts and stops, twists and turns, changes in direction, jumps, stretches, and slides. This all requires flexibility and core strength. Maintaining inclusion in the team requires active recovery for injury. Pilates offers lower intensity workouts with an emphasis on technique, form, and posture so help the body recover faster. Where can I find Rugby sport specific classes Near Me? 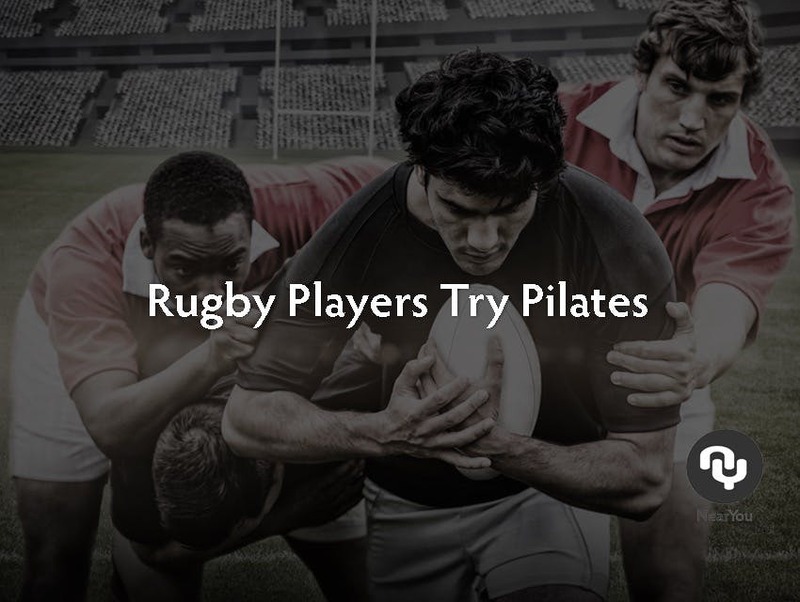 Rugby is a very physical sport, if you're a rugby player you can find a specific Pilates instructor or Pilates Studio on Pilates Near You. Its probably one of the best move you can make. Look for sports specific Pilates instructor on Pilates NearYou.